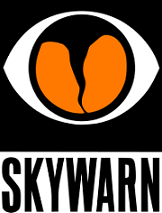 Want to stay on top of severe weather, winter weather and flood alerts when they threaten your area? You can with StormChaseTN.com Mobile Weather Alerts. It's like your own personal tornado warning siren. Sign up for our free* mobile weather alerts today. *Standard text messaging rates apply, unless you are subscribed to an unlimited text messaging plan with your wireless provider.